I just want to Thank You for not only this Amazing prayer but for revealing this Holy Place to me. I have this prayer and Bible verse on my homescreen so I am able to access the Word of the Living God at all times. 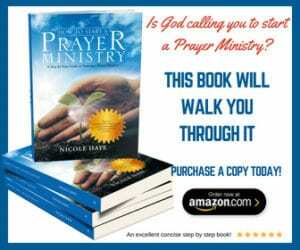 May God bless and grow your ministry. In Jesus mighty name. AMEN!!! This is the kind of prayer I was looking for, thank you so much and be blessed! At this time, I know something is trying to happen and I deel.like i missed a mark or caused a hindrance I that God reveals something more to me. I feel so lifted saying this prayer.I believe God will answer my prayers. I may so humbled to have access to such a powerful teaching today which came at the right time when I was a destitute without purpose, but with this teaching i hve found my step towards my request to God. Thank you so much for sharing, may God continue to bless you and reveal many teachings to you as you will continue sharing with the world. Thank you and may God bless and continue to enrich you in every area of your life. Thanks a lot for this prayer I’m going to bed to night believing God will reveal himself to me. 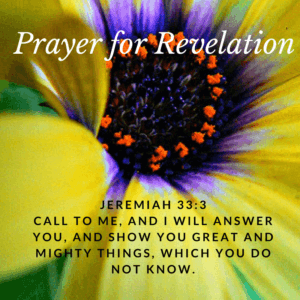 Thank you for making clear how we can pray the right prayer for revelation in our lives. Praise be to God! A wonderful piece, I found it quite informative.